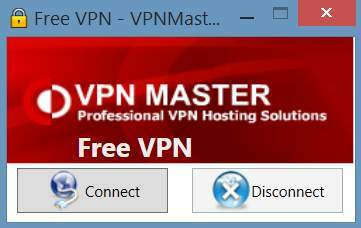 Download Free VPN latest version. This application program is free to use and it is developed by VPN Master. Free VPN allows you to connect and surf internet anonymously for 24 hours free. This application software will provide you a dedicated IP address for each time you connect to Free VPN. Free VPN can be download from this website. To download the setup file, just click on download link given below. After download the file, run it and start to install this application on your PC. Remember that, during the installation, the installer will show you “Special Offer” for different software. You can “Skip” them to proceed forward. If you click on “Next”, this action will install the software included in special offer. 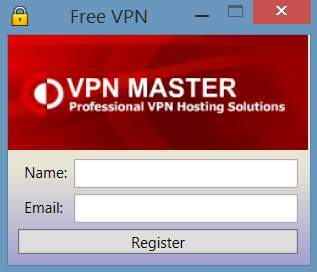 After installation, you are ready to use Free VPN. When the program start, it will require your Name and email address to register. When you click on register button after entering the detail, it will immediately open the program. The interface of Free VPN program is very simple. You will see only two buttons; connect and disconnect. When you click on Connect button, it will start connecting and then show you alert message “Connected”. You can check your current IP address before connect, so that you can check either the VPN is working or not. You can use IPNow Manager to check your IP address. I have checked and see my real IP address and then click on Connect button. When the connection became successful, I have again open IPNow Manager to check my IP Address. This time, the IP address was change and I was connected to the VPN. Using this, you can surf the web anonymously and can easily open blocked websites in your area such as YouTube in Pakistan. The good thing of this Free VPN is that it will provide you about the same internet speed as you have with your internet connection.